in Mike Manley's ON-LINE COMIC! ACTION AND ADVENTURE FEATURING THE MAN WITH THE POWER OF A THOUSAND MONSTERS! TIMMY CRANIUM TRAILER! THE STORY OF A BOY AND HIS PIG. CLICK HERE TO READ ABOUT TIMMY. DRAW! CARRIED IN TOWER BOOKS!The best How-To Mag on Comics & Cartooning! 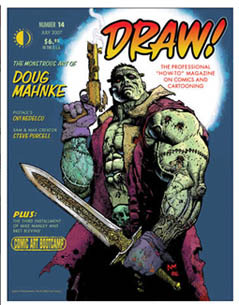 (90 minute DVD) Companion to Draw #9 and Write Now! #8 cross-over. See an entire comic created from "Script to Print" with Draw Editor Mike Manley and Danny Fingeroth. Follow each step from the script to thumbnails, penciling,inking and colors. 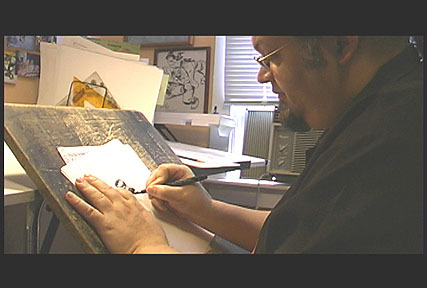 Even lettering is coverd as Mike and Danny creat a an 8 page comic. 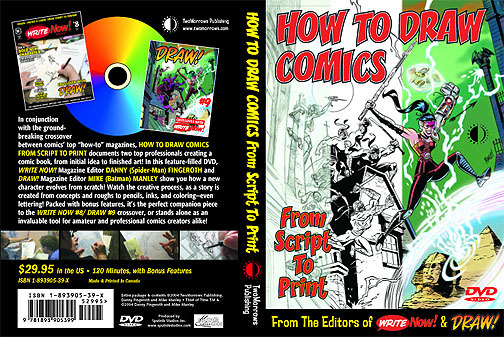 See how the PRO's do it!This DVD is stuffed with bonus art and sketches!